Born without a right hand and forearm, Natalia Partyka won the Paralympic championship in 2004. Paola Fantato has been a wheelchair user since the age of eight, yet she was the first athlete to compete in the Olympics and the Paralympics in 1996. Silver-medal-winner Terence Parkin has been deaf since birth, but that didn’t stop him from winning medals in swimming competitions. 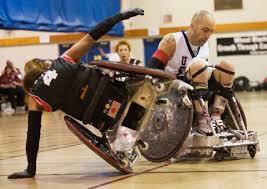 There are many athletes with disabilities who inspire us with their competitive spirit. Whether it’s winning races, grappling on the wrestling mat, or riding the ocean waves, athletes with disabilities stand as the epitome of strength and success.